The other day I learned about something that will really improve our cooking. This information was found on one of my favorite websites, The Reluctant Gourmet. That something? Reduction sauces. The author of the site, G. Stephen Jones, started his tutorial by first asking "What's so great about reduction sauces?" Extraordinary taste but with lower calories and less fat is the happy answer. It all started with restaurant goers demanding lower calories and less fat in their food but still wanting it to taste special. 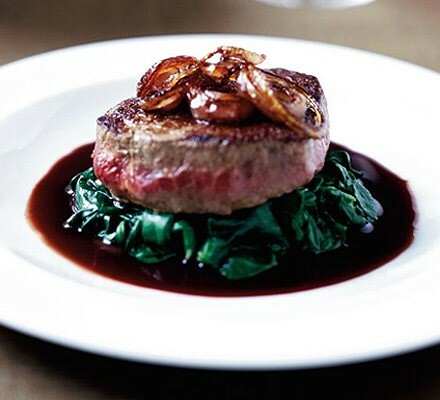 So chefs turned from high-fat, high-calorie gravies to reduction sauces to meet this demand. By definition, a reduction sauce is the result of boiling or cooking down a liquid until it reduces to the consistency of a sauce. 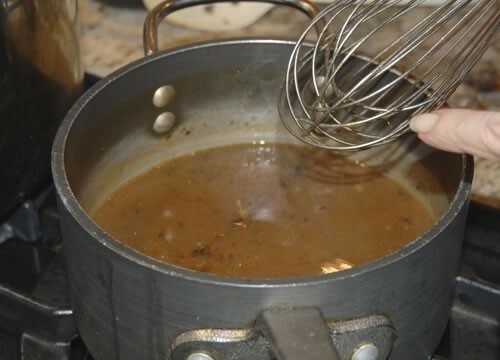 The liquid can be just about anything but is usually a wine or a stock that has been used to deglaze a pan where meat, chicken or fish have just been sautéed. One of the best things about these sauces is that they are easy to prepare at home and because you are evaporating the water from whatever liquid you are using, you are instantly intensifying the overall flavor of the sauce. They can be made from all sorts of liquids. 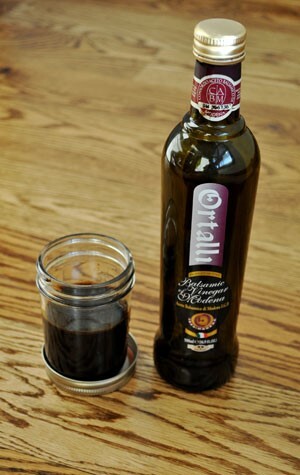 The Reluctant Gourmet favors balsamic reduction sauce. Here you slowly cook down a cup of balsamic vinegar until it reduces by half or if you like, even further until it becomes syrupy. He says this is great to drizzle over fish, chicken or pork chops. 5. add some chicken stock or beef stock. Sounds easy enough, but my question: "How much stock should you add?" 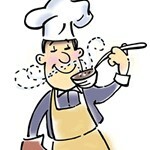 Our Reluctant Gourmet explains: "If you want a cup of sauce, start with two cups of stock. Basically you are going to reduce whatever liquid you are using in half. If you think the sauce should be thicker, continue cooking it down until it reaches your desired consistency." 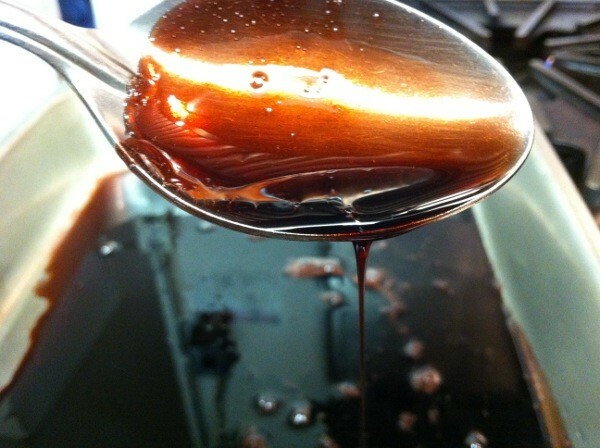 You will often hear chefs say or cookbooks describe reducing a sauce until it is "thick enough to coat a spoon." All this means is you dip a spoon in the sauce, and if the sauces sticks, it's ready. If you reduce the sauce too much, just add a little more stock. Remove the meat from the sauté pan; pour off all but 2 tablespoons of fat (add fat if you need to). Remove the pan from the heat; add wine to deglaze the pan while scraping any bits stuck to the pan when cooking the meat. Place the pan back on the heat and immediately add the shallots letting them cook while the wine reduces to an essence. Be sure to keep stirring so the shallots don't burn and the bottom of the pan is clean. Once the wine is almost completely cooked off, add the stock. Reduce the stock by at least half and more if you want the sauce thicker. Taste and season with salt and pepper. Many professional chefs will add pats of butter at this point to give the sauce more flavor and that velvety shine and smooth texture. This is great but it sort of defeats the purpose of making a reduction to reduce fat and calories. Add the finely chopped herbs and serve. It's that simple and SO delicious. 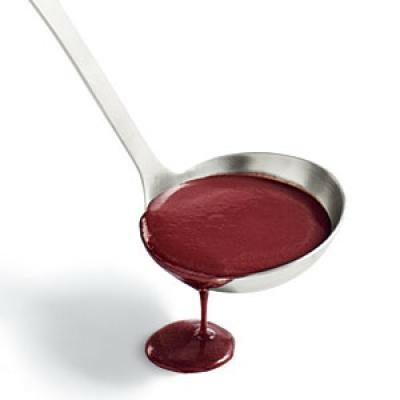 So whether you're using vinegar, cooking wines, roasting pan drippings, stocks, or even fruit juices, reduction sauces are an easy way to add an EASY and elegant touch to your entrées!